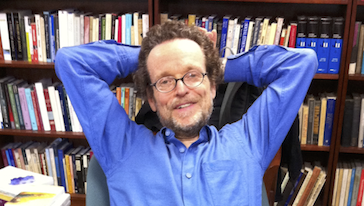 Having received his PhD in philosophy from Harvard, Thomas Pogge is Leitner Professor of Philosophy and International Affairs and founding Director of the Global Justice Program at Yale University. He holds part-time positions at King’s College London and the Universities of Oslo and Central Lancashire. Pogge is a member of the Norwegian Academy of Science as well as President of Academics Stand Against Poverty (ASAP), an international network aiming to enhance the impact of scholars, teachers and students on global poverty, and of Incentives for Global Health, a team effort toward developing a complement to the pharmaceutical patent regime that would improve access to advanced medicines for the poor worldwide (www.healthimpactfund.org). Pogge’s recent publications include Politics as Usual (Polity 2010); World Poverty and Human Rights (Polity 2008); John Rawls: His Life and Theory of Justice (Oxford 2007); and Freedom from Poverty as a Human Right (Oxford & UNESCO 2007).